Neck lift cosmetic surgery (also known as platysmaplasty) involves removing excess skin and tissues in the neck and tightening the neck muscles to give a sleeker, leaner appearance and smoother jawline. When performed by a skilled surgeon like as Dr. Verma, neck lift surgery helps bring back the smooth contours of the neck and chin. Dr. Verma believes in holistic care, including surgical as well as non-surgical methods to give you natural and balanced results most suited to you. Often neck lift is combined with facelift surgery, neck liposuction or non-cosmetic procedures such as muscle relaxant injections to achieve better aesthetic outcomes. 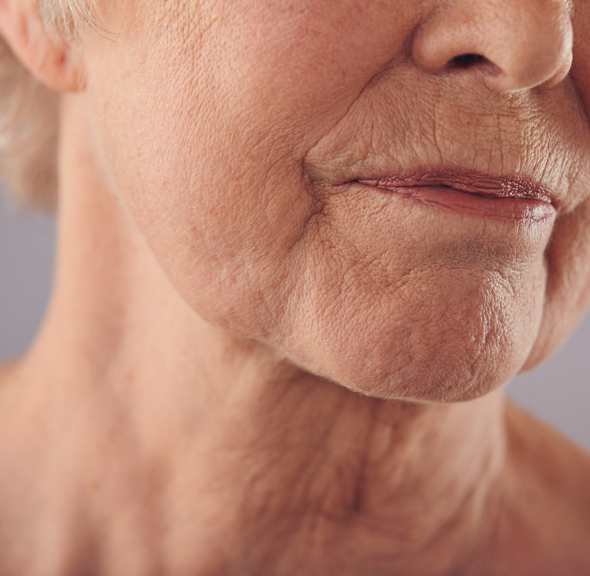 What is neck lift surgery: Neck lift surgery involves removing excess skin and tissues in the neck and tightening the neck muscles to give a sleeker, leaner appearance and smoother jawline. Note, a neck lift is often combined with other cosmetic techniques such as facelift surgery, neck liposuction or muscle relaxant injections to achieve better aesthetic outcomes. It is rarely performed in isolation. Where is it done: Your neck lift surgery will be performed at the brand-new Honeysuckle Day Hospital in Newcastle, a fully licensed and accredited day hospital which specializes in cosmetic surgery. Length of Surgery: Usually between 2-3 hrs. May be longer depending on the complexity of surgery or if neck lift will be combined with another type of surgery. Approximate Cost: Varies according to type, complexity, and length of the procedure. You will receive a quote with a cost of the procedure after your consultation with Dr. Verma, tailored to you. Not sure if neck lift surgery is right for you? Maybe you feel more than one type of cosmetic surgery may be required? Or are you interested in non-surgical ways to create a youthful look? Do I qualify for neck lift surgery? 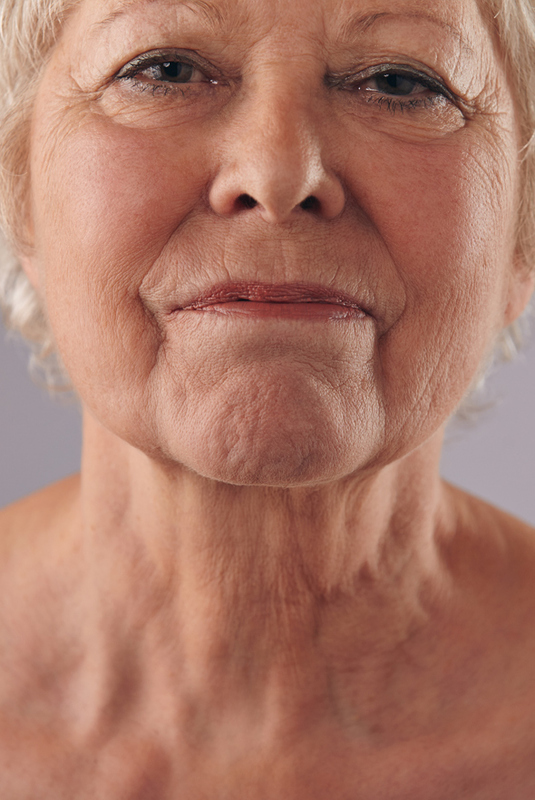 A neck lift can be performed on people aged in their 30s to 70s. Benefits last for longer in younger patients but results are often more dramatic in the older population. You need to be in good general physical and mental health to undergo surgery and ideally be a non-smoker or amenable to quitting pre-operatively. The ideal candidate is someone who has realistic expectations of what surgery can achieve and is undergoing surgery for themselves and not for anyone else (eg. pressure from partners or family, undergoing surgery to salvage a relationship or try to procure or keep a job). It is important to understand that cosmetic surgery performed by Dr. Verma is done with finesse, with the aim of giving a subtle but noticeable natural and elegant look. No two people are the same. After taking a general medical history, Dr Verma will examine your face and neck closely and discuss your concerns with you. He will then suggest a procedure or procedures specifically tailored to address these issues, giving you a balanced and natural look. For a true analysis for a neck lift, please avoid wearing any makeup or sunscreen for the consultation. It is also recommended that, where possible, you bring close-up clear photographs of a younger, more youthful you to the appointment. These images help Dr Verma understand the youthful contours of your face and the result you wish to achieve so he can adjust your surgery accordingly. Please note that Dr. Verma will be taking photographs of your neck and face. Photography is vital in the cosmetic surgery experience and allows Dr. Verma to document and share with you your progress pre- and post-operatively. Sometimes these photographs will be uploaded onto our website. The images are de-identified, with birthmarks, tattoos and other identifying features removed. The images are not altered any other way, in order to give a true representation of the likely results. Such ‘Before-After’ images help other potential patients like yourself to decide whether this is the right procedure for them. Generally, the consultation is your opportunity to ask Dr. Verma any questions or clear any concerns you may have regarding neck lift surgery. What is the cost of neck lift surgery? What is included? Cost of neck lift surgery depends on the length and complexity of the surgery. After the consultation, once you have decided you are interested in neck lift surgery, you will receive a quote for the cost of the surgery. This price includes Dr. Verma’s fees (surgeon fees) and the cost of follow up visits up to 3 months post-surgery. It does not include hospital and anesthetist costs but an estimate of such costs can be provided on request. 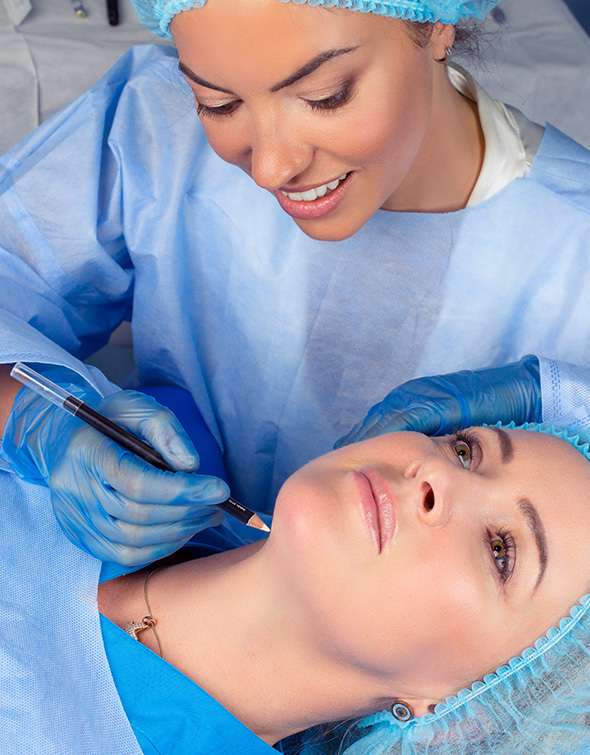 The traditional approach involves making small incisions under the chin and around the ears. Through these, liposuction of the neck will be performed if required then excess skin and tissues will be removed and the muscles tightened. An alternative is a ‘thread lift’. Through small incisions behind the ear, a permanent thin suture is placed along the sides of the neck to which muscles and tissues are anchored to tighten and lift the neck. Skin and tissues can be lifted up to 1 cm by this minimally invasive procedure. Dr. Verma, who is trained in both techniques, can discuss the advantages of each with you and help decide which technique will help you achieve your desired outcomes. The incisions for a neck lift are placed under the chin and around the ears near the hairline. These generally fade to form faint white scars, although the degree of fading varies depending on how your skin tends to heal and form scars. What are side effects of neck lift surgery? Temporary bruising and swelling, numbness in the neck, tingling or burning sensation in the neck or a tight feeling in the neck are normal in neck lift patients. The majority of such symptoms resolve within 2-3 weeks after the operation, although swelling can take 3 months or more to fully subside. What are the risks and complications of neck lift surgery? General risks of any surgery include excessive bleeding, reaction to any of the medications (including anesthesia), infection, poor healing or excessive scarring. There are also risks and complications specific to neck lift surgery such as injury to the nerves that control facial and neck muscles or sensation, or changes to the hairline. Sometimes a thin plastic tube may need to be inserted into the area that has been operated on. These tubes drain any blood and secretions that accumulate under the skin after surgery and help to promote healing. Whether these drains are inserted or not is decided on a case-by-case basis, but generally, they are reserved for those requiring extensive surgery. You will be provided with detailed instructions by Finesse Cosmetic Surgery with regards to care of your sutures, wounds etc. Any sutures are usually removed in 7-10 days. After neck surgery, you will need to wear a ‘post-op garment’. This is a snug fabric mask for your face and neck to be worn after surgery. It reduces swelling and bruising after surgery, helping to minimize pain and achieve better-looking results. Returning to work takes 14 days, depending on the type of work you do. More strenuous activity (such as lifting, straining, pushing, exercise beyond a light walk) should be strictly avoided for 4-6 weeks. The majority of the swelling can take up to 6 weeks to resolve. Feelings of tightness and numbness in the neck and face are normal after neck lift surgery and may last several weeks. Results will be visible after your tissues heal, when the majority of swelling and bruising subside, which may take up to a month or more. Thus, being patient and optimistic is key to recovery after neck lift surgery. Dr. Verma will see you one week post the operation and then organise subsequent follow-ups according to how you recover. All follow-up visit costs up to three months after the operation are included in the cost of the surgery. Revision surgery for any complications carries extra charge. Similar to your consultation visit (see above), Dr. Verma will be taking photographs of your face and neck in order to document healing during follow up visits. How long do the effects of neck lift last for? The neck lift turns the clock back by 5 to 10 years. This effect fades with time and advancing age and a revision is usually required after 10 years. This still makes neck lift surgery the longest lasting treatment for skin ageing compared to other non-surgical alternatives.